Closing an escrow account can happen after the sale of a property. It is an account held by a third party that holds monetary funds and/or documents. This is a good thing because you don’t have to necessarily keep those documents- someone else does it for you and is held liable if anything happens. 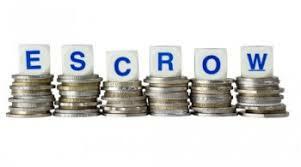 The amount in an escrow account varies from owner to owner. Personally, I’m a big fan of my escrow account. My mortgage payment is bundled up with taxes so when the tax bill comes from the town I have property in, my mortgage company is responsible for paying those taxes right out of the escrow account. Easy is good! Especially when the mortgage, internet, cable, phone, and electricity bills all come at once! At least one of them is handled and paid for me. Phew! Insurances can also come out of an escrow account. So it’s all rolled up into one bill paid monthly by the owner. Some people put in extra money for repairs or anything that might occur on or to the property. If your property taxes go up a significant amount or your home is reappraised, there might be a chance your escrow account does not cover the payments necessary. Make sure to check with your town how much the taxes increased by then alert your lender or mortgage company. I heard a story recently about a new owner owing taxes on a property that the previous owner did not pay because of a tax increase and someone misfiling paperwork. Another great reason to have Title Insurance, but I’ll save more information on Titles for another day. If you’re wondering what the amount is in your escrow account check your statements online or from the mail. You can also call your mortgage company or talk to a licensed Real Estate Agent or Broker for clarity. Don’t be shy!